So you must think I can’t count, but actually, there’s a fourth way to esports – bootstrapping, the old-school-way of doing esports. This is more gaming-related and takes place when gamers in clans, guilds, or other gaming and esports communities (typically online – through a game client) join forces, create teams, and start entering tournaments and competitions together and/or with friends. 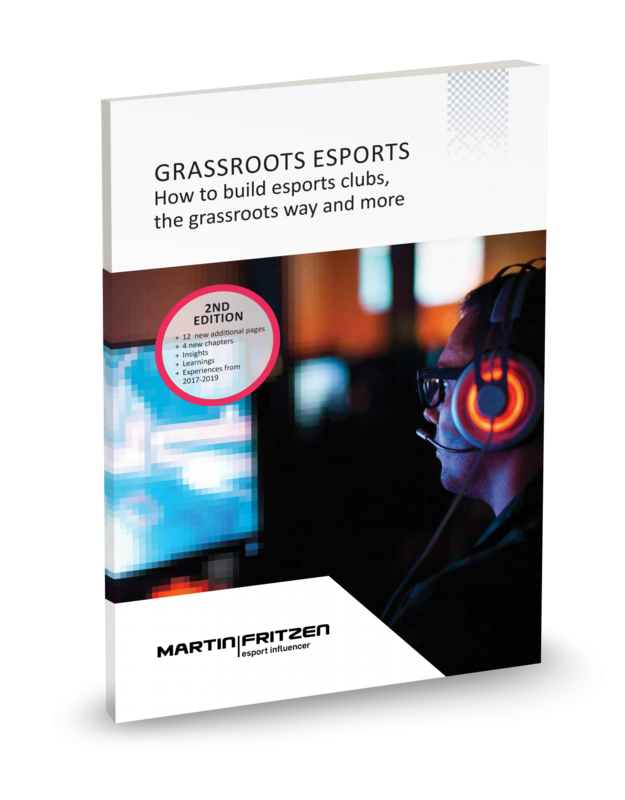 You can easily create an esports team with your friends and start going to online or onsite tournaments and develop from there. The community teams can easily talk to their local sports club, and start-up a new esports division, if they do not have one already. They can also start up a completely new sports club. This is all because of the “The Act on Youth and Adult Education” law in Denmark that provides the support and gives the community teams the possibility to find rooms or a building, and attract economical grants and funds. These benefits are only given to registered official Danish sports clubs – so you can see the benefit for a “community” team to join with a sports club. The community way is an easy and free way to start up a team and join esports tournaments. It can be difficult to maintain the team and build structured training. Also, it can be difficult to attract funds and sponsors because you are, essentially, on your own and not a part of a club or brand. Unfortunately, many community esports teams and organizations have started and closed down after only 6 months, because the funding was too thin or the people were too inexperienced to lead and manage a team.